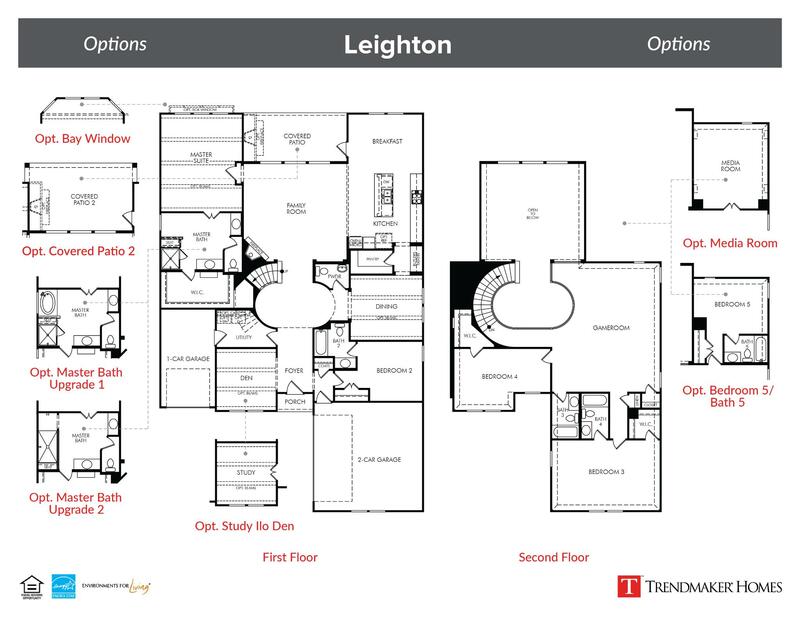 If you are looking for an elegant yet functional floor plan, the Leighton is the perfect choice! With a gorgeous oval foyer and round staircase, you will be impressed every time you enter the home. The large family room includes a cozy corner fireplace and opens to the luxury kitchen, which offers access to the covered patio, making entertaining an event. For relaxing times, enjoy the tranquil master suite with spa-like master bath complete with an expansive walk-in closet. Additional bedrooms, gameroom and flex room provide flexibility to meet your family’s needs.